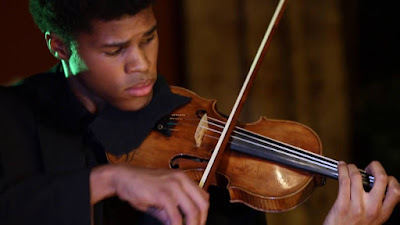 Another member of the Kanneh-Mason family, violinist and member of the Chineke! 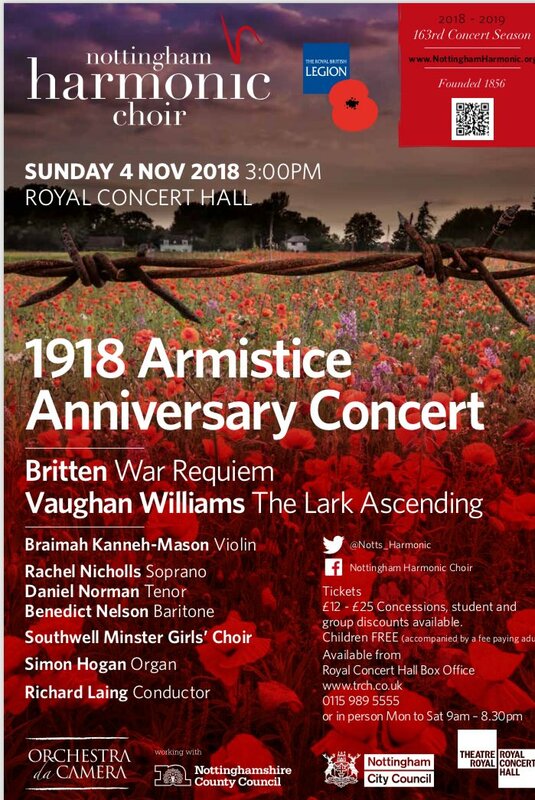 Orchestra Braimah Kanneh-Mason, will perform Vaughan Williams The Lark Ascending with the Orchestra da Camera conducted by Richard Laing as part of the 1918 Armistice Anniversary Concert on Sunday Nov. 4 at the Royal Concert Hall in Nottingham. 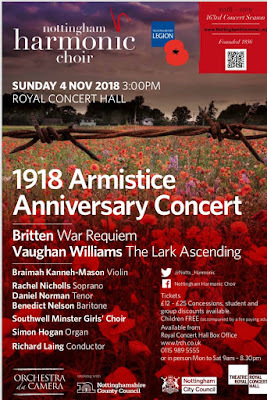 The concert also will include Benjamin Britten's War Requiem.